A collision involving four vehicles is causing long delays on the A47 at Thorney Toll this morning, Monday January 16. Police were called at 7.49am to the crash involving three cars and a van. There are not thought to be any serious injuries but all four vehicles will need recovery and the road is blocked. 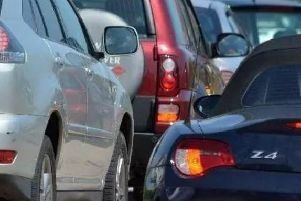 Traffic is queuing in both directions on the A47 and on the A141 March Road. Motorists are advised to avoid if possible.